The Porsche 911 needs no introduction as one of the most popular sportscars in the world and is on sale in its most potent form in India now. 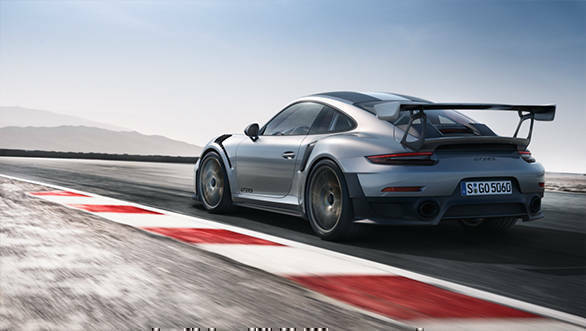 The Porsche 911 GT2 RS has been launched in India, priced at Rs 3.88 crore ex-showroom. That's just an indicative price for the car, to be honest though, as it comes with a really long list of customisation options, being the flag bearer of the current generation Porsche 911 family. The 911 GT2 RS is one of the most extreme 911s and a limited edition model, and India has been allocated multiple units of the car. This clearly is proof of Porsche's commitment to the sportscar and supercar segment in the country. 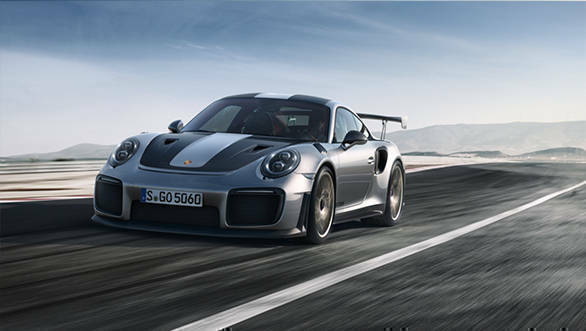 The 911 GT2 RS launched today is the second generation version of this highly-focused sportscar. In fact, the GT2 RS is pretty much a road legal track machine and is held in pretty high esteem as far as road legal track-cars are concerned. The car is powered by 3.8-litre, flat six cylinder engine that send a stonking 700PS and 750Nm to the rear wheels. Claimed 0-100kmph time for the car is a mind-boggling 2.8 seconds, making it one of the quickest accelerating cars on the planet. More importantly, the 911 GT2 RS sports active suspension management which adjusts damping on each wheel depending on the surface condition. Then there's stuff like rear-axle steering to help the car go quicker around corners along with torque vectoring that ensures all four wheels have optimum traction and power. Carbon ceramic brakes are part of standard equipment, while the bodywork is as aerodynamic and sharp as it gets. Porsche has in fact stripped the 911 GT2 RS bare, getting rid of everything that's not needed to go faster. Needless to say, a lot of the car is made of carbon fibre, including the hood, front wheels, ORVM covers, wheel arch vents as also the rear air intakes.